Setting up shop here is a pretty smart move by El Gallito. The taco truck fare is seriously lacking the further west you head on Venice Blvd and there isn‘t much truck activity until you get a couple miles east of La Cienega . The Garcia Bros truck across the street can always be counted on for their spicy salsa verde but I’ve always thought the actual tacos were too inconsistent. I went to El Gallito on back to back nights not because the first night blew me away but because it didn‘t. It didn‘t quite taste like the El Gallito I had tasted in Pasadena. On both nights the al pastor was seriously lacking and tasted as if it had been sitting awhile. The asada and the suadero though were very good and El Gallito’s provides an excellent salsa and condiment bar with convenient cups to fill up extra salsa as you need them.The salsa roja is made of guajillo chiles and has a smoky flavor and a good kick to it. If you want something a little milder try the salsa verde. Maybe El Gallito deserves the benefit of the doubt on the al pastor. The Pasadena location has an al pastor spit but I didn’t see one here. 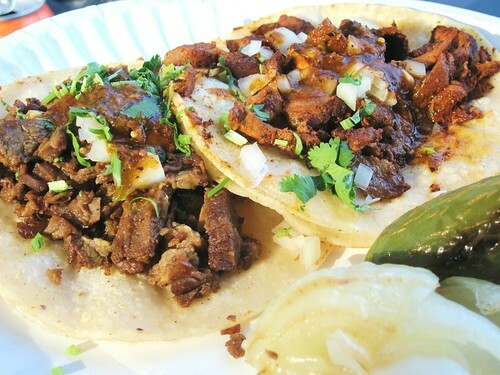 I can’t really complain though, the suadero beef and carne asada with the smoky salsa is better than anything else you can get from taco trucks on the Westside. the fair oaks truck re-griddles their al pastor after shaving 'em off the spit, no? correct my memory if I'm wrong. You might be right. I guess re-griddled pork off a spit is better than no spit. the al pastor here was quite poor though. The El Gallito truck is no longer at the 400 S Fair Oaks location. For several months now it's been an Arturo's Tacos truck, which Yelpers seem to love, but I don't think is as good. The El Gallito truck is nowhere to be found around Pasadena (that I know of, at least.) 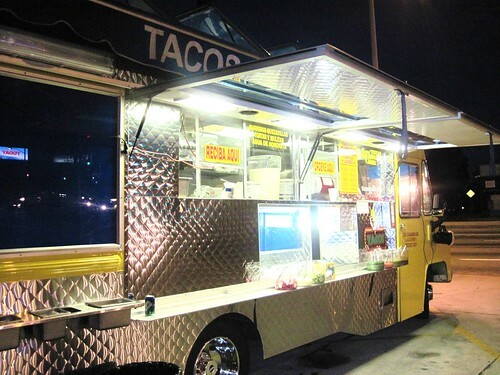 Maybe the Culver City truck is the relocated Pasadena one, minus the al pastor spit. You wouldn't happen to know where the El Gallito truck that was in Pasadena went? I miss it. @Anon: Thanks. I noticed that the El Gallito truck was there again last week, and wasn't sure whether it was a "permanent" change. I live right around the corner from the TEG truck on Venice/La Cienega; their truck is a welcome sight for people like me who are night owls and sometimes need a good bite past midnight. I too would give them 3/5 stars. It's edible and sorta hits the spot, but I really did need the salsa and condiments to bring out flavor in the meat (I believe it was the Al Pastor). Without the sauce the meat had hardly any flavor. 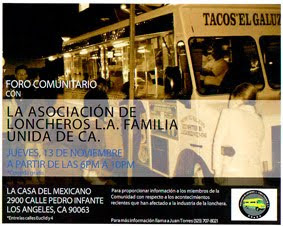 A tasty new spot in Culver City on Washington just east of Helms Ave. is "Pinches Tacos." They're pretty pricey ($7-$8 for a burrito) but the ingredients are fresh and tasty, IMHO. i will be checking this site and about the pastor we change the reciepe back to the original and the pit is illegal by the health dept that why we stop my name is cris former student of le cordon blue. Just passed the intersection of Santa Monica Blvd/Westwood at 8:45 pm tonite (09/27) and saw this truck on the SE corner. I wanted to stop, but I was on my way to the hospital to do a sleep study. how did the sleep study go?